Did You Miss Us At ToxExpo 2016? We recently attended SOT2016 in New Orleans and had the opportunity to share some of our recent in-house data surrounding CD4+ Immune Cell Subsets in both Cynomolgus Macaque and Human samples. 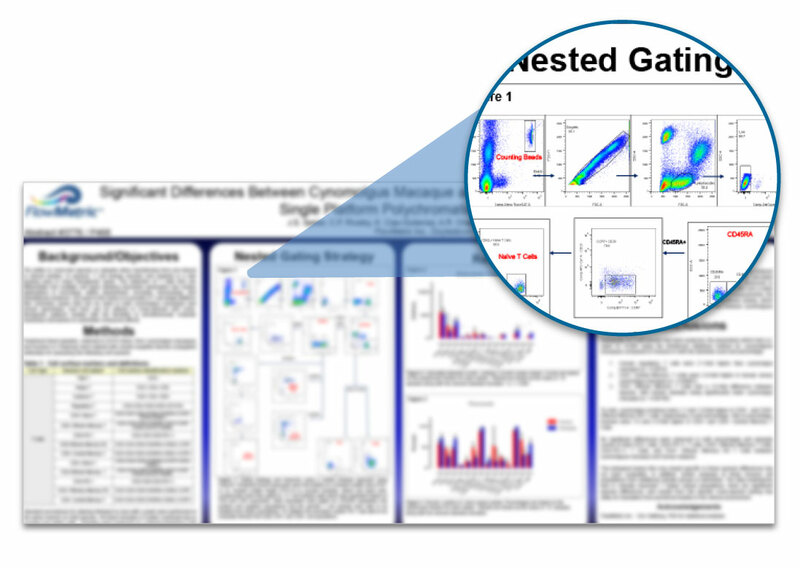 In this poster, we examine the differences in various cell populations between the two species. We highlight significant differences in Regulatory T Cells, CD4+ Central Memory T Cells as well as CD4+ Effector Memory T Cells. Please reach out to us at Contact@flowmetric.com if you have any questions or wish to use this panel in your upcoming studies!